I started my medical career at Wake Forest Medical School where I was ER chief resident for two years. I worked as an ER physician for 15 years and was an assistant clinical instructor in this field for a total of 27 years. Then I went into family practice and it was during this latter period when, because of my own sport injuries and seeing people in my practice, that I realized that each person must be treated as an individual and not as a textbook case. Also, because many of my sports injuries could not be completely cured by my fellow physicians, I discovered alternative methods to heal myself. As a result I began studying and practicing alternative medicine. My wife, Jennifer, was always very spiritual and through her teachings of Reiki, hypnosis, and interactive guided imagery I began to understand and practice medicine integrating the body as a whole of mind, body, and spirit and finding the source of the ailment instead of just treating the symptoms and signs. After being a traditional physician for about 27 years (and skeptical of any non-western medicine) I realized I was too dogmatic in my way of thinking and it was not the way to treat people as individuals. Allopathic medicine has its positive healing goals but for many individuals it was not working. Alternative medicine was another avenue but after practicing it for many years I realized it was still dogmatic medicine but using different approaches. Yes, it was more individualized but not that different then allopathic medicine because, instead of using pharmaceuticals, I was substituting botanicals and supplements and exercise and diet. I discovered what I was not entertaining was the action of taking care of the whole person which should include mind, body and spirit and I was not getting to the important point of why is this person ill. I still believe in staying away from pharmaceuticals as much as possible except when needed or needed temporarily. They should be used for the benefit of the healing occasion along with the knowledge of counteracting side effects with holistic knowledge. This concept put me in the category of being an holistic physician. I took my holistic board exams and became a Founding Diplomat of the American Board of Holistic Medicine in 2000. I was amongst the first physicians to do this and pave the way for others in this field and this is what I have been doing for about 20 years. Now that I am retired from practice I am still pursued for advice by both laymen and physicians of many medical specialties. Therefore, instead of hiding away about 40 years of both allopathic and complimentary experience and knowledge I have decided to create Holistic Second Opinion. 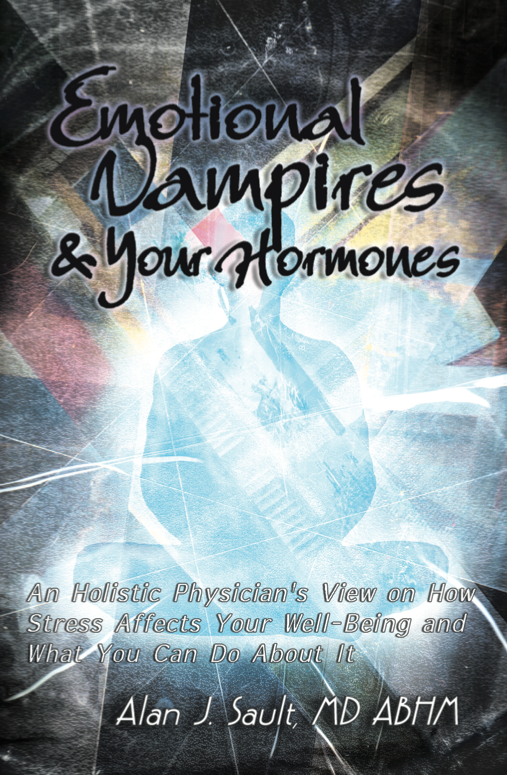 After 7 years of research, writing and many years of experience I have finished writing this book Emotional Vampires and Your Hormones: An Holistic Physician’s View of Stress and How It Affects Your Well-Being and What You Can Do About It. I bring to the reader’s attention why a person may stay in a vicious cycle of disease states and why it is so important to find the cause and not just treat the symptoms and signs. The value of this approach is documented with evidence based research and supported by my many years in both allopathic and holistic-complimentary medicine. communicate with the healer and not feel submissive to them. 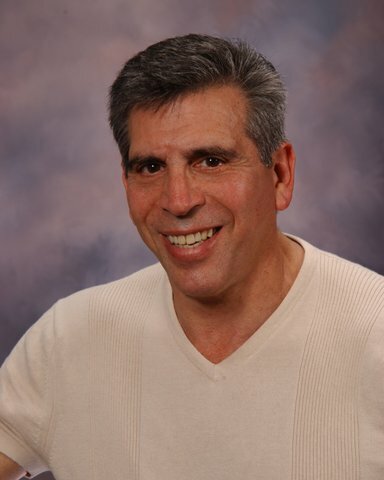 I had been treating mostly chronic diseases such as cardiovascular and cancer using holistic and complimentary medicine along with my belief in the connection of body, mind and spirit. I had great success and only infrequently have I had to use allopathic medicine. I listened to histories of these clients and was often amazed at how some would minimize small and horrendous stresses. Besides the stresses they gave me in their histories I also knew the hidden stresses that are too often not considered: poor life style, nutritional, environmental, heavy metals and pharmaceuticals. I was also engaged in doing anti-aging medicine using bio-identical hormones and having great success. My reputation of healing people started to extend even to younger clients with medical problems and hidden and overt stresses emerged from them as I listened to their stories. I quickly realized that disease and stress are on parallel paths. That it is stress lowering the immune system and playing havoc with the hormonal system that permits pathologies to emerge whether the person was predisposed genetically or the occurrence was solely the body’s response to the stress[s]. I knew after seeing so many cases that most diseases would not materialize if it were not for the stress. I also included the tearing down of medically time-honored myths about hormones and cholesterol that are still practiced by the many physicians today although their own scientific periodicals refute them and support my views. This book is backed by evidence-based medicine and directed towards the emerging field of holistic medicine. I added chapters to include the stresses of toxic environments, pharmaceuticals, and poor dietary life styles leading to the Metabolic Syndrome, diabetes, hypothyroidism, and I have touched upon other pathologies. If you need more of my CV please go to my web: holisticsecondopinion.net. I believe you will be impressed with my long, diversified medical career and some scientific publications. Thank you for taking the time to review my book.